The Commodore Amiga computer turned 25 years old yesterday, the original Amiga 1000 having been released to rave reviews on July 24, 1985. Those were heady times for home computing enthusiasts, when programming was still largely in the hands of individuals or small teams and the wide assimilation of gaming into corporate monoculture (I’m looking at you, EA, who seem to have forgotten that those letters stand for Electronic Arts) was a distant future away. These were times when computer hardware was pushing boundaries, and software was pushing the boundaries even further by making hardware do things it was never intended to do. These days, hardware is utterly depended on to do the hard work while software rides its coattails, but back then, software designers needed to be clever in order to get every last ounce of juice out of the limited hardware it ran on. The Amiga busted boundaries by providing software developers with hardware the likes of which had never been seen in the home before, along with superior access to all that hardware’s functions. The graphic and sound capabilities of the Amiga were astounding, absolutely astounding. 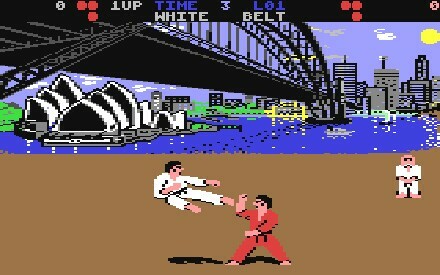 To this point, we’d had the impressive-for-the-time graphics of the Atari and Commodore 8-bit line of computers, most notably the Atari 400/800 and Commodore 64. The IBM PC was lurking out there too, but its graphics and sound were laughable. Gaming on the Apple Macintosh was virtually non-existent. When the Amiga hit the scene, it literally blew everyone away with its computing power, and computing has never been the same since. People forget how influential the Amiga really was, but here is a great retrospective at Technologizer titled Amiga: 25 years later. Recommended reading for all Amiga fans. I got my Amiga 2000 in 1989, after a 4-year hiatus from computing in general (the only hiatus I’ve ever taken since I was 12 years old). The year before, I hooked up my Atari 800XL to get back into computing, and while I enjoyed it as much as ever, I realized that a number of years had gone by and that there was much better out there. I looked at PC clones and the Apple Macintosh, but it was the Amiga that boggled my mind and made me want to get back into computing. 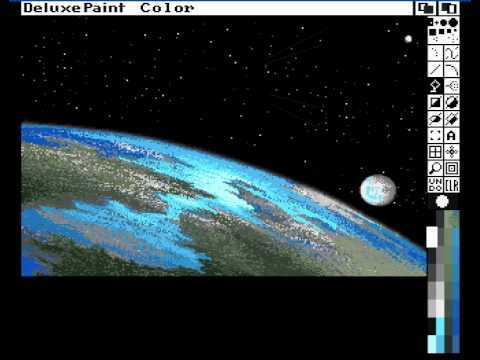 I learned about computer painting with Deluxe Paint. I dived back into programming with AMOS BASIC. And of course, I gamed. Heavily. Shadow of the Beast. Hybris. Typhoon Thompson. So many more. The Amiga was the first home computer capable of generating honest-to-goodness arcade-quality graphics, with silky smooth animation to boot. Other home computers made a good effort and sometimes got close, but none of them really replicated the look or feel of arcade games. There was a chasm in the difference of quality that the Amiga ably bridged, and it was a dream come true for the home gaming enthusiast. PC gaming had nothing on the Amiga at the time. Oh, and please please please please please…. I loved my Amiga. I still have it. It’s out in the garage and I haven’t hooked it up in years. But I sometimes do, and I will again, from time to time. It’s fun to revisit. I have all my old disks. They won’t last forever, but they still worked last time I checked. It’s a blast to hook it up again and play those old games, at the very least. And I’m always amazed at how sophisticated that old 1985 multitasking OS really is. At the time, nothing else came close, nothing at all. The Commodore Amiga is my favorite computer that I’ve ever owned. I had more fun exploring that machine than any other, and I give it credit for re-igniting my interest in computing and helping me get into computers as a career. Happy 25th anniversary Amiga!